Markets are a tricky thing. 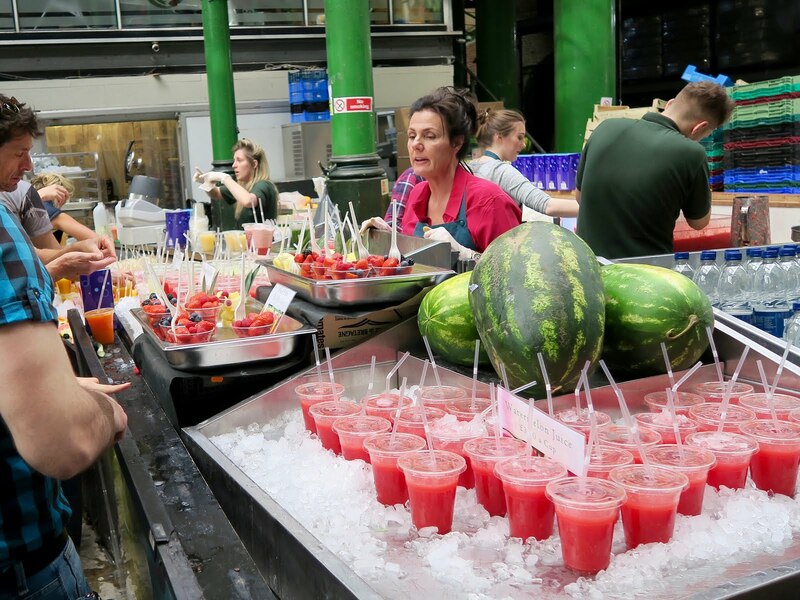 First, there’s the whole overwhelming of the senses; colourful fresh produce, smoky sizzling lunches, cat calls from the stall owners, and the hustle and bustle of everyone trying to get the best deal. I’ve always been a little intimidated by markets, no matter how often I go and how much I love their spirit. Shyly standing at the edge of a stall motioning to a bowlful of bananas never catches a seller’s eye, despite how good I am at doing just that! Borough Market is a little different to my usual food markets. Yes, the food is organic, and yes the prices are steep. Let’s not beat around the bush! 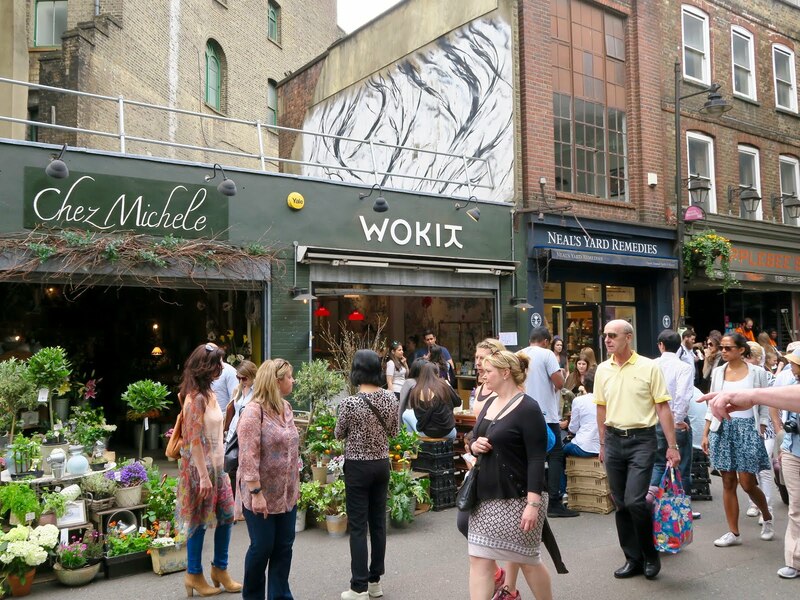 It’s a posh market, where the etiquette gets even more blurry – can I stand and shout for a punnet of berries? Do I queue? What about trying before I buy? Last weekend was my first visit, and while I did struggle to really get into the game, I have to say that it was an overall enjoyable experience, and I loved the food I did pick up. Open for a very reasonable amount of time on a Saturday (8am to 5pm), I headed there around lunch with the intention of trying the most delectable foods I could find. It’s perhaps not the best strategy if you’re looking to stock your larder, but for lunch it’s a treat! 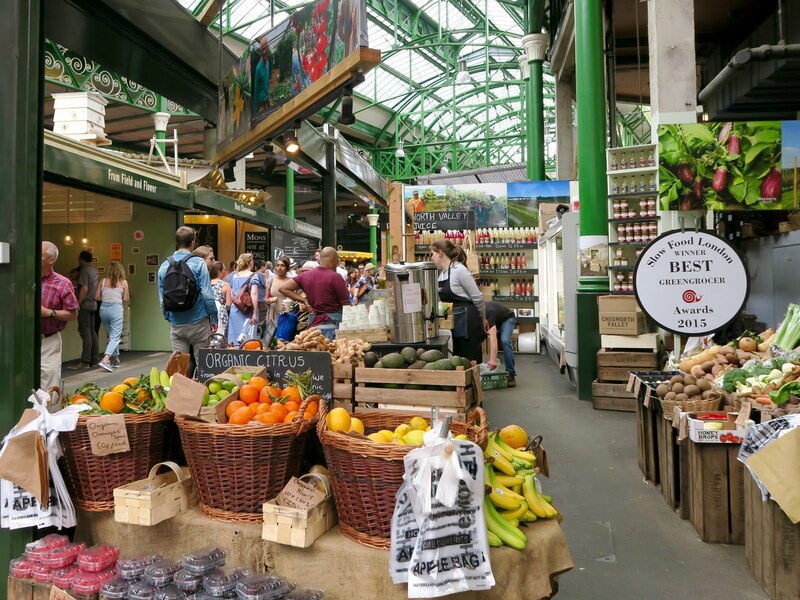 I first headed into the greengrocers section, and was delighted to be met with a Slow Food London award sign – something I’m quite passionate about. I didn’t pick anything up this time round – prices are quite high, but of course you are paying for quality of food, freshness, locality, etc. – but will do in the future. I then walked past a juice bar or two, and grabbed a cheeky watermelon juice. A real sugary treat, with little bits floating through it – perfect for the hot weather. And then I found my heaven: fresh pasta. If you’re ever in the area, I’d recommend a quick walk through at least – you can pick up some weird and wonderful items there, whatever your diet choices.